My Reverse Bucket List | Finding delight. And she’s right. If we’re always focusing on the future, we miss out on the NOW and totally lose sight of the past. Now I’m not saying to throw your Bucket List out the window! It’s fantastic to have wild aspirations; it’s wonderful to set your sights on far off lands. I just hope that, once accomplished, the bullet points of your list get stuck with star stickers and big, fat check marks instead of crossed through or deleted. Why not take a few moments today to craft a REVERSE Bucket List? Instead of creating a list of all the things you want to do, why not make a list of things you already HAVE?! 1. Read over 12 books a year for as long as I can remember. 2. Snorkeled in the Florida Keys, caught crabs on the coastline of Louisiana, and took a boat ride down the Danube. 3. Ended a successful 11 year Speech and Debate career with State, National and International accolades under my belt along with a familiarity with more college campuses than you’ve probably been to in your life. 4. Cooked food grown by farmers whose names I know. Grown plants. Learned to love the act of making simple meals to nourish my body. 5. Cultivated relationships with friends who make me a smarter, more passionate, better human. 6. Watched the sun set over the Pacific Ocean. 7. Trained in classical ballet for 17 years and have the feet, knees, and turn-out to prove it. 8. Hiked through rain and hail, lighting and thunder in the Rocky and Wicklow Mountains. 9. Explored, by foot, the streets of Buenos Aires and Bowling Green and everywhere in between. 10. Paid off all my debt. 11. Helped fix-up houses for under-privileged families in Chicago and South Carolina. 12. Learned how to write a grant and a blog post and a speech and a cover letter like a badass. 14. Moved in and out of a gajillion apartments and navigated the wild rental world of slumlords, mice, theft, illegal eviction, and general property negligence. 16. Fell in love with the smartest, cutest, most supportive boy in the world. 17. Spent my childhood flexing my imagination, exploring the world, and voraciously reading. 18. Enjoyed 17 years with the most wonderful father a girl could ask for. What are you waiting for? 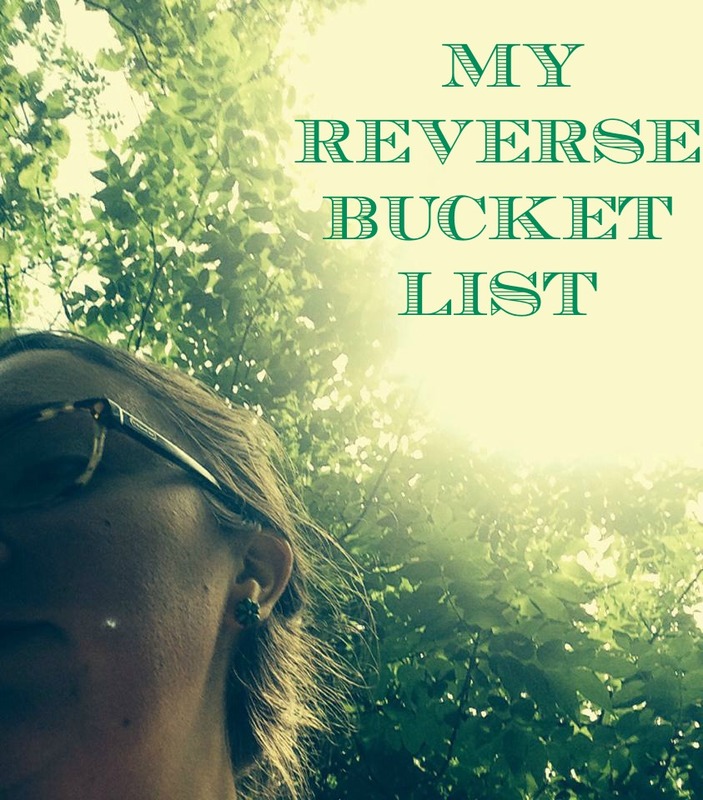 Go write your own Reverse Bucket List! And tell me one item from your list in the comments below. This is so sweet! You are a rock star. Also, you know I appreciate “Moved in and out of a gajillion apartments and navigated the wild rental world of slumlords, mice, theft, illegal eviction, and general property negligence.” So much yes. Thanks, Rach! I wear our rental-past as a badge of honor forever and always. LOL. Pingback: 10 Ways to Take a Time Out and Practice Self-Care | Finding delight.